Since Windows 7 and 8.0 have both reached the end of mainstream support and the rest of Windows 8.x is slated to reach end of support January 2018, many IT departments are starting to evaluate Windows 10 as a new Enterprise standard. 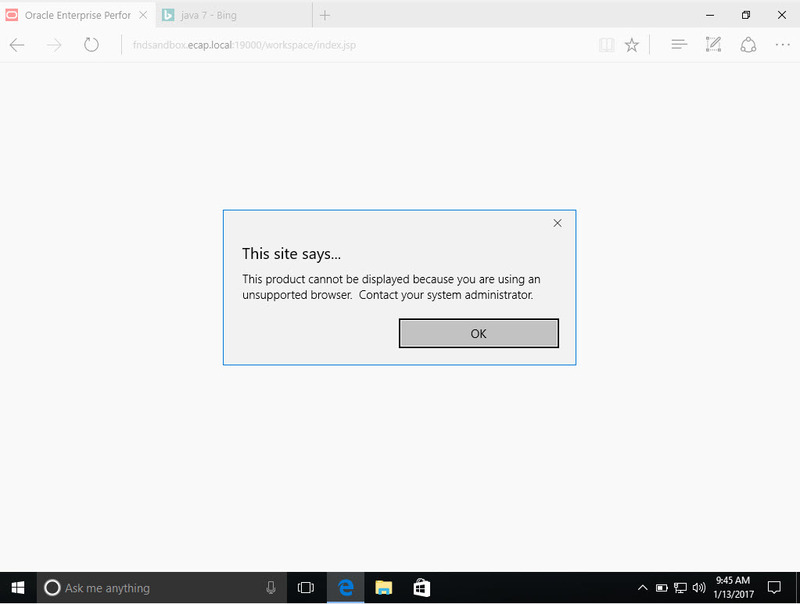 With Windows 10 comes Microsoft’s newest version of Internet Explorer, Microsoft Edge. While Microsoft Edge boasts impressive speed and security improvements over prior browsers, the question our customers keep asking is “will it work with Hyperion”? For on-prem customers, the short answer is “no”. Our recommendation is to stick with IE11 as Edge is not certified with the most recent releases of Hyperion (11.1.2.4 at time of writing). With prior versions of Internet Explorer, there were workarounds to make uncertified versions work (like “Enterprise Mode” with IE11), however I haven’t found a similar workaround yet for Edge. In fact, Oracle has stated in a KB article exactly WHY it isn’t certified in a manner that leads me to believe it likely won’t be certified in the near future. 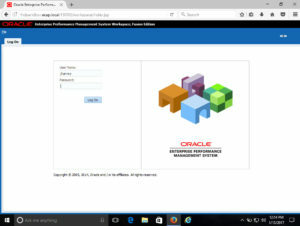 Given that Oracle has advised Edge compatibility won’t be coming until EPM 12c, and that there have been no official (or unofficial) dates communicated around that release, on-prem customers may be waiting quite a while for Edge compatibility. 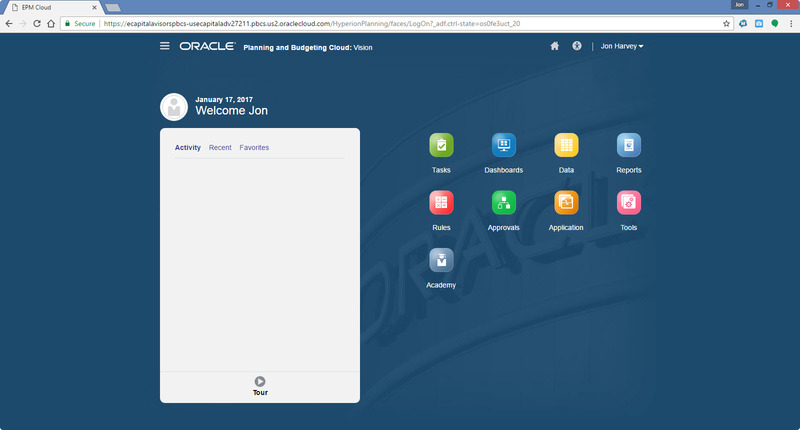 With PBCS customers having the advantage of monthly updates, my guess is that this will be addressed in the upcoming releases by the Oracle team. Continue to follow eCapital’s monthly update webinar series to stay up to date and current with the latest PBCS features! 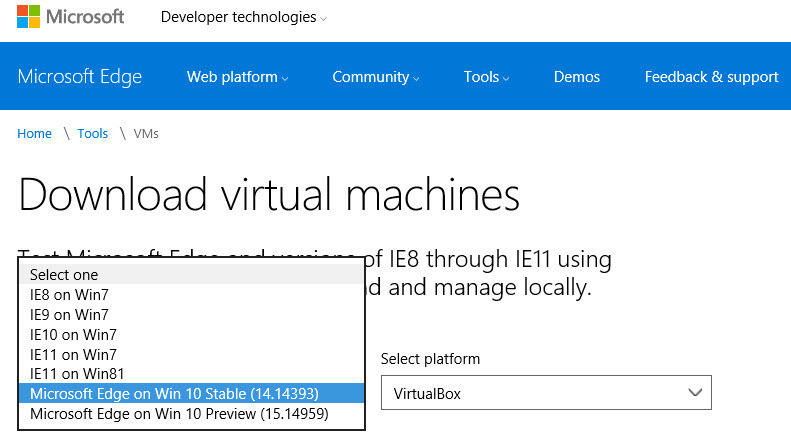 Currently, there is no “workaround” for making Edge work, however Windows 10 does come with IE11 installed as well. 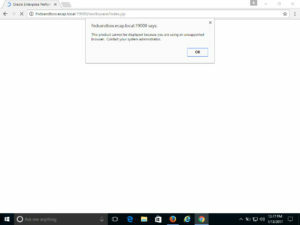 Users can set IE11 as their default and pin it to their taskbar by following the instructions listed here. 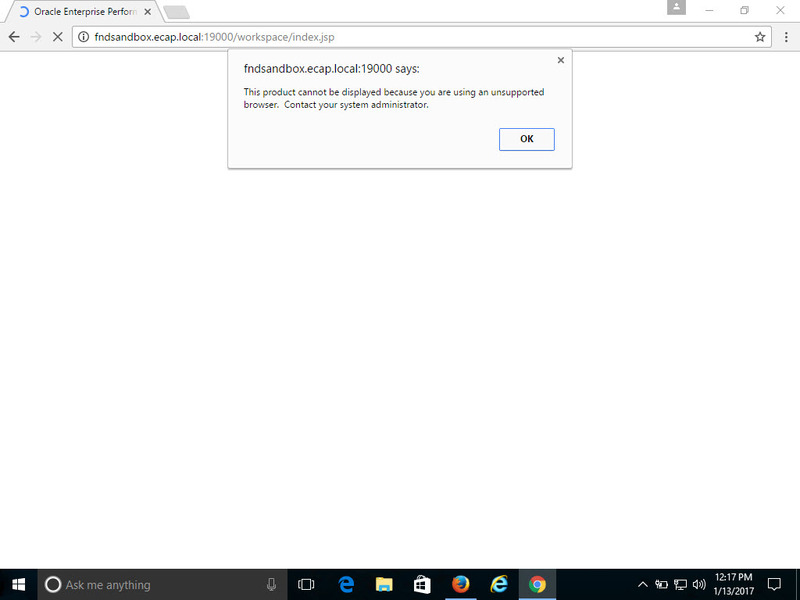 IE11 on Windows 10 works for Hyperion, just like it did in prior releases of Windows. A few customers have asked about Firefox or Chrome as alternatives. Both are as compatible as they were in prior releases. Firefox works fine, it just requires an Adobe Flash plugin for Calc Manager to work fully. Chrome continues to be unsupported for on-prem, but works fine with PBCS. Try it yourself! 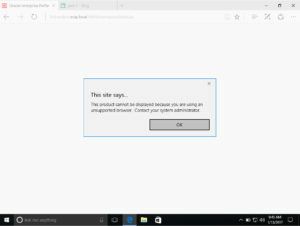 Microsoft has provided a relatively quick and easy method of testing their browser compatibility for users through virtual machines. 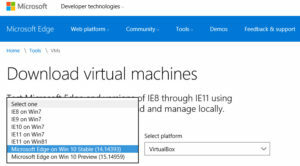 By accessing the IE compatibility portal for developers, users can download lightweight, prebuilt VMs with different OS and browser configurations for testing. As an Oracle fanboy, I use Oracle VirtualBox for using VMs, but the portal also has VMs for VMWare, HyperV, Parallels and Vagrant formats. Contact us using the form here, or call us at 952.947.9300. Drowning in data but parched for predictive insights? Arrange a free half-day analytics health check. Talk to our experts face to face at one of our upcoming industry events.